It looks like the Pixel 3 XL could be both bigger and notchier than the Pixel 2 XL, as according to the latest leak it will be around 6.2 inches (up from 6.0 inches for the Pixel 2 XL) and will have a notch. That’s according to @OnLeaks, who is a reputable leaker, so it could well be true. But if it has a notch then there’s every chance that it will achieve that size without being any bigger overall than the 157.9 x 76.7 x 7.9mm Pixel 2 XL. 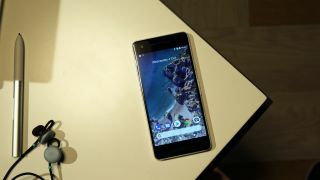 And that’s not all, as the same source also has some news about the standard Pixel 3, saying that it will be around 5.3 inches and won’t have a notch. That would be an increase in size from the 5-inch Pixel 2, but still make it fairly compact by modern standards. So if true then Google could almost be offering something for everyone here, with phones for notch lovers and notch haters and fans of big and small handsets. Of course, this is just a rumor for now, but it’s believable, especially as we’ve previously heard rumors that the larger Pixel 3 model would have a notch, while the smaller one wouldn’t, and even seen a leaked image to that effect. We might not know for certain for a while, as the Pixel 3 and Pixel 3 XL probably won’t land until early October, but we expect plenty more leaks and rumors before then, and we’ll be sure to tell you about all the credible ones.